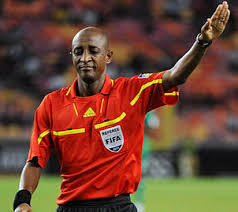 The Federation of International Football Associations (FIFA) on Thursday handed a life ban to Nigerien referee, Ibrahim Chaibou for bribery and match-fixing. The world’s football governing body also slammed a 177,000 euros (about $226,000) fine on the 52-year-old Chaibou who was the centre referee when Nigeria hosted Argentina in June 2011. Chaibou famously awarded several spot-kicks in a 2010 friendly game between South Africa and Guatemala, sparking an official probe into his activities. Chaibou’s probe has been key to revealing how international matches were manipulated for betting scams. The development also forced FIFA to change the rules for selecting referees for friendly matches.